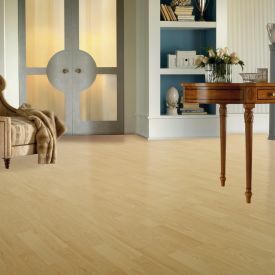 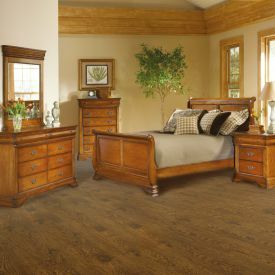 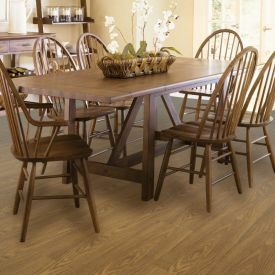 Lighter and brighter flooring has always been in style and along with the realistic look and feel of wood that laminate flooring has to offer at an incredible price as compared to solid wood floors, Laminate flooring is here to stay. 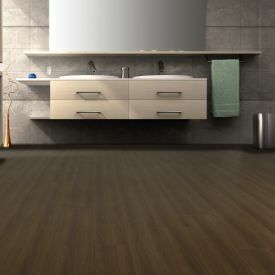 As opposed to a white stone floor, this one has a much warmer feel and is quick and easier to install given its uniclic floating floor installation system. 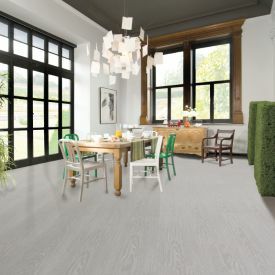 With an AC4 rating, this floor is extremely durable and impact resistant, with no disadvantages like splinting and cracking as with a solid hardwood or a stone floor. 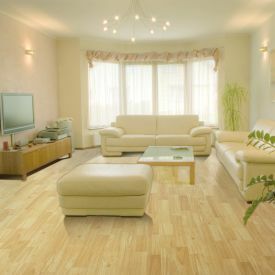 Therefore, is undoubtedly value for money.